In 1982, The Company introduced a line of forced hot-air conveyor oven called Impinger ovens. Impinger ovens cook most foods approximately two times faster than standard convection ovens and two to four times faster than conventional deck ovens. Lincoln manufactures a family of Impinger ovens with various capacities and space requirements. You can visit Lincoln at www.lincolnfp.com. Small. Versatile. Powerful. And Now Ventless. 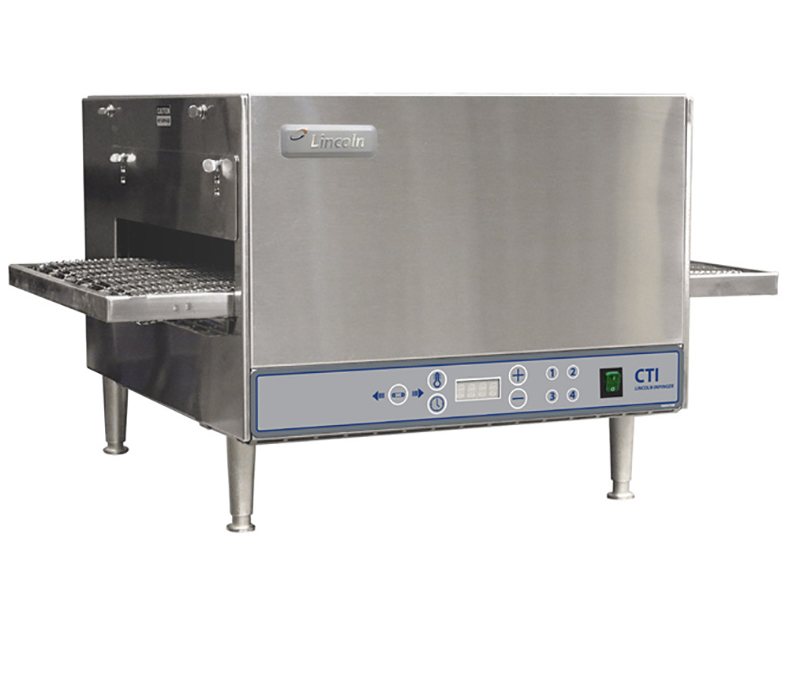 The Lincoln electric Countertop Impinger (CTI) ovens put large oven capacity almost anywhere you need it. Small enough to fit on most commercial countertops, but large enough to replace a half-sized convection oven or up to five microwave ovens. Stackable high capacity ovens for maximum cooking performance. Lincoln Impinger Conveyor Ovens are the premier continuous cooking platform for the food service industry. Using the latest advancement in air impingement technology, Impinger ovens allow for rapid heating, cooking, baking, and crisping of foods. The Impinger I oven can be stacked two high for maximum cooking capacity. With a 32" (813mm) wide conveyor belt and 40" (1016mm) baking chamber, each oven can replace up to three full-size deck ovens. The most versatile Impinger Conveyor Pizza oven on the market. Lincoln Impinger Conveyor Ovens are the premier continuous cooking platform for the food service industry. Using the latest advancement in air impingement technology, Impinger ovens allow for rapid heating, cooking, baking, and crisping of foods. 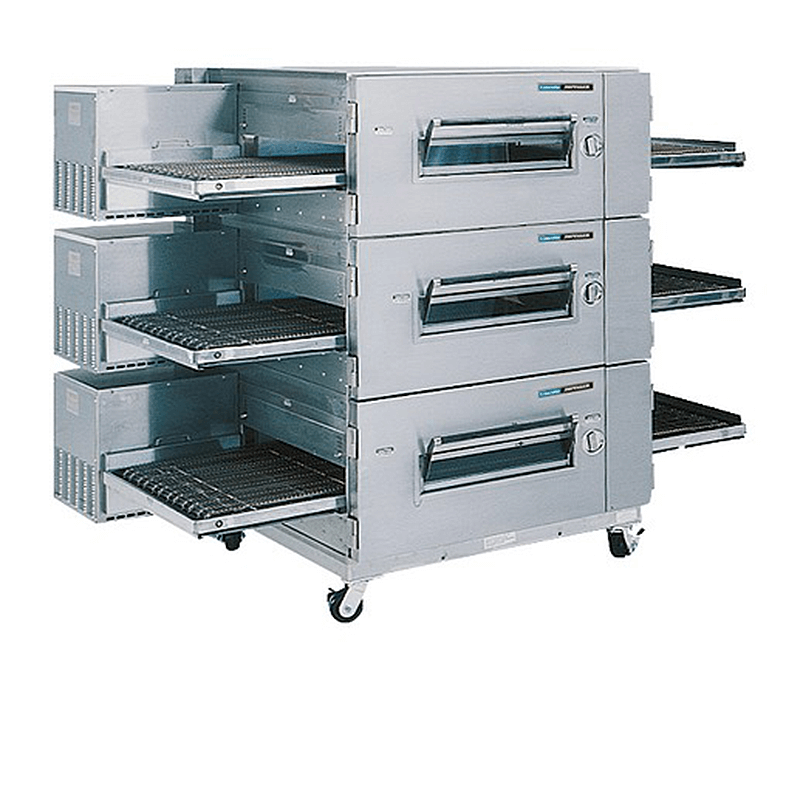 Stackable 3 high for incredible baking capacity and flexibility. Lincoln Impinger Conveyor Ovens are the premier continuous cooking platform for the food service industry. Using the latest advancement in air impingement technology, Impinger ovens allow for rapid heating, cooking, baking, and crisping of foods. The Impinger Low Profile puts the capacity of the Impinger I in a shorter frame that can be stacked three high.